We released the first version of the app within a few short months, but immediately realized users were not using the app to upload wishes. 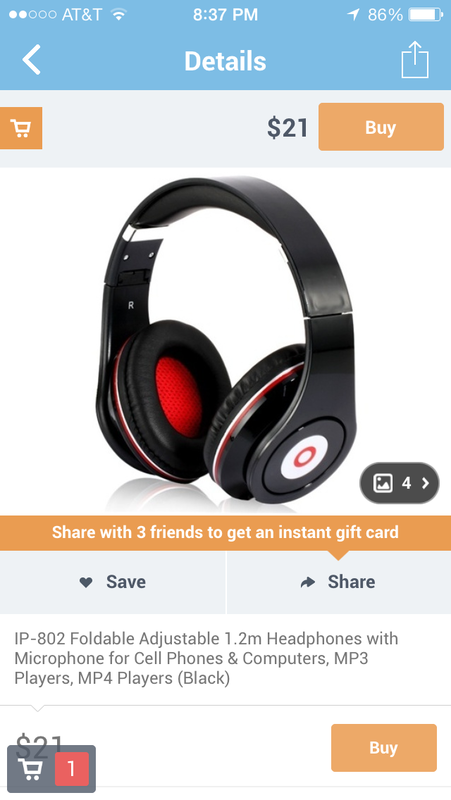 The app was prominently used to browse existing products and share them with friends. The next release focused heavily on browsing, and connecting with others with similar interests. This was a huge hit and we saw a surge in new users every week. It only took us a few weeks to 5x the engagement of the web app. Till this day, Wish is in the top 50 apps in the App Store and has over 100 million downloads.